Superb architect-designed waterfront home on Madeline Island, in the heart of the town of La Pointe. 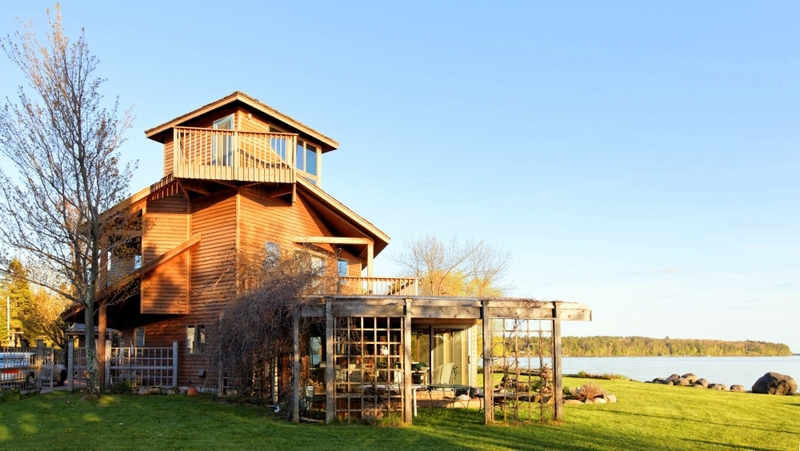 Homes like these rarely reach the market on Madeline Island. Part of the prime stretch of Lake Superior beach frontage on Main Street in the town of La Pointe, bounded by the Madeline Island Ferry Dock to the north and by the Madeline Island Marina to the south. An historic location, close to the business district of LaPointe, yet in an outstanding residential setting. Island summer residents and their families have prized homes in this location for over a century.